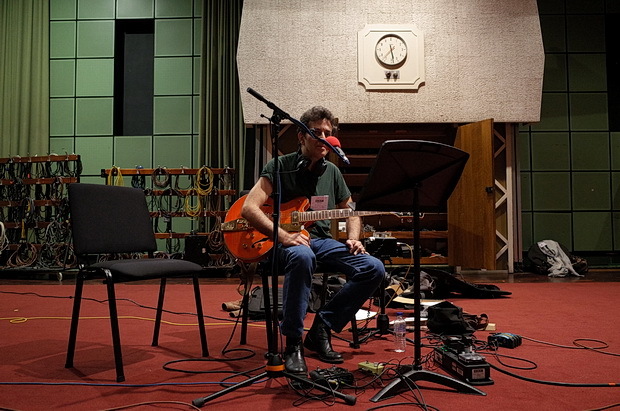 Yesterday I was fortunate enough to spend time at the BBC’s famous studio complex at Maida Vale, recording live tracks with my old/new band The Monochrome Set for Marc Riley’s BBC6 Music radio show. 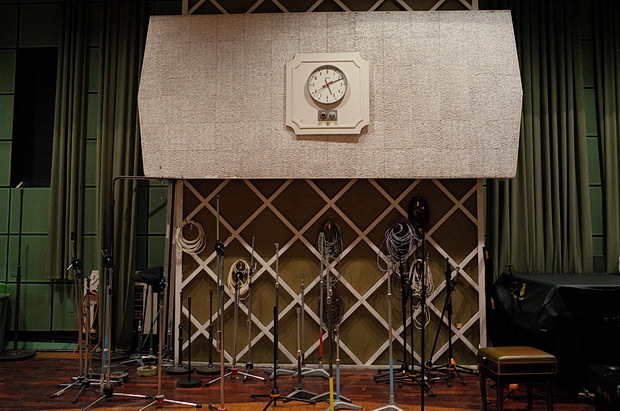 Maida Vale Studios is a complex of seven BBC sound studios (of which five are in regular use) which have been used to record thousands of classical music, popular music and drama sessions for BBC Radio 1, BBC Radio 2, BBC Radio 3, BBC Radio 4 and BBC Radio 6 Music from 1946 to the present. 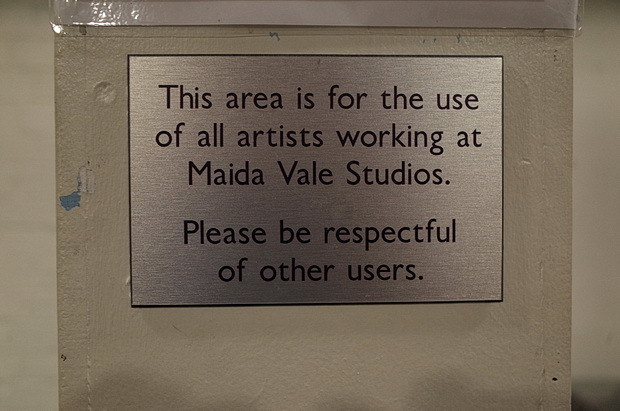 The site was built in 1909 as the Maida Vale Roller Skating Palace and Club before being rebuilt in 1933-1934 as one of the BBC’s earliest premises, pre-dating Broadcasting House. 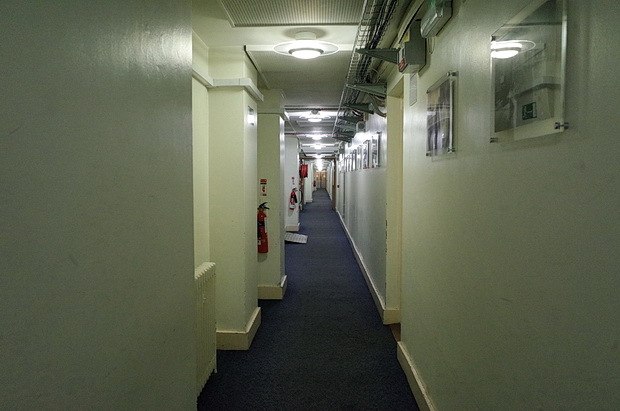 The studios were the centre of the BBC News operation during World War II and has since survived several attempts by developers to turn the place into luxury apartments. 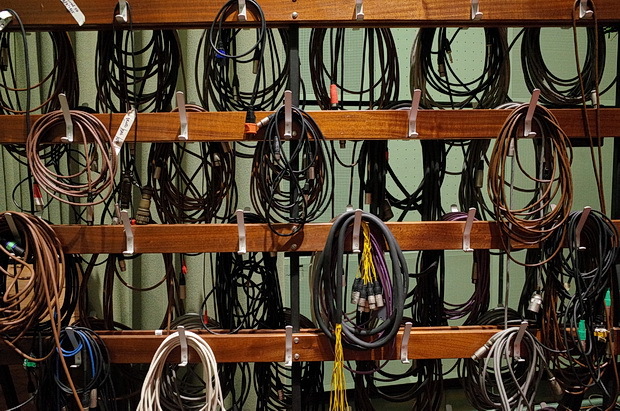 Still dripping in period detail, the studios have been home to the BBC Symphony Orchestra since 1934, and provided the base for the wonderful BBC Radiophonic Workshop from 1958 until its demise in 1998. 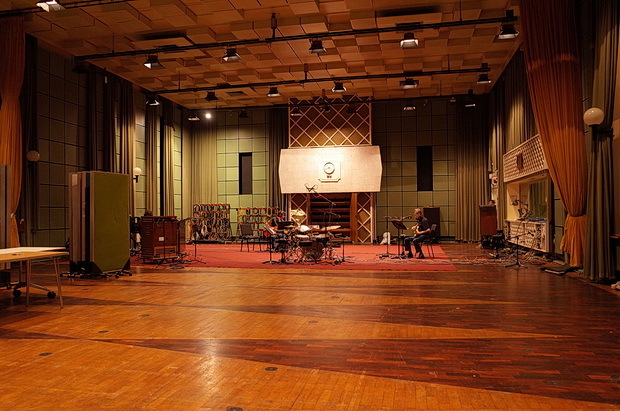 The Beatles used studio MV5 several times in 1963 to record sessions for BBC radio, and the famous sessions for John Peel’s Radio 1 programme were also recorded here. 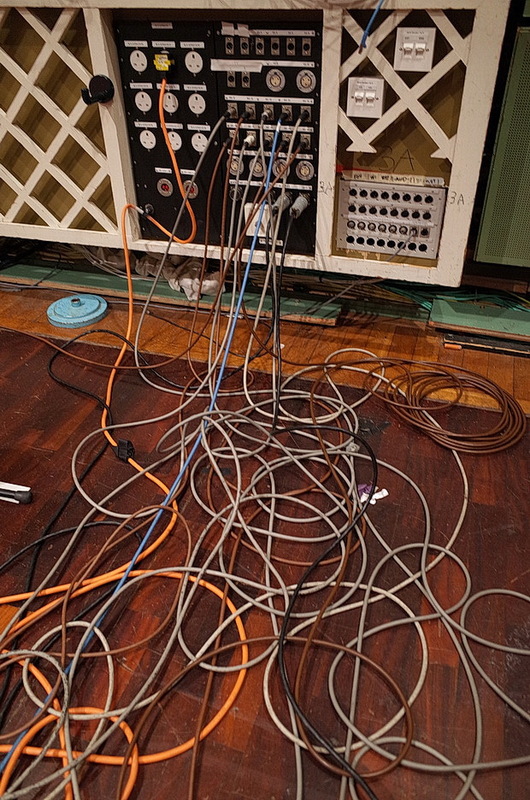 Some items in the studio look like they’ve been here since the 1930s. 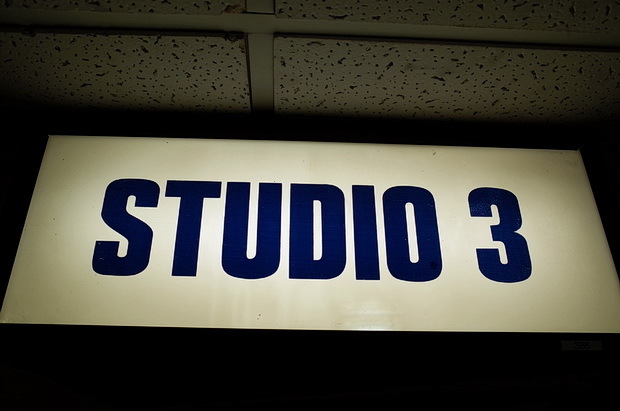 Studio MV3 is a large studio, equal in size to MV2. 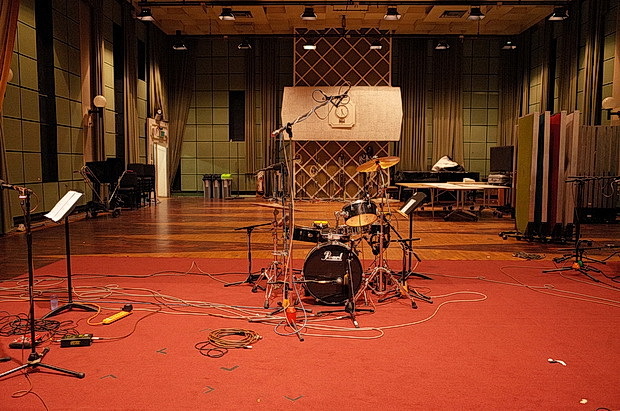 With an SSL 9000J series analogue desk installed, MV3 is used for a large number of Radio 2 programmes and some Radio 1 session recordings and live audience shows. 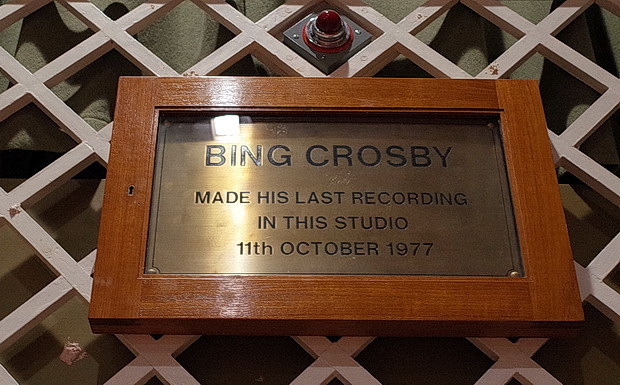 Bing Crosby made his last recording session in this studio in 1977, three days before he died of a heart attack on a golf course in Spain. 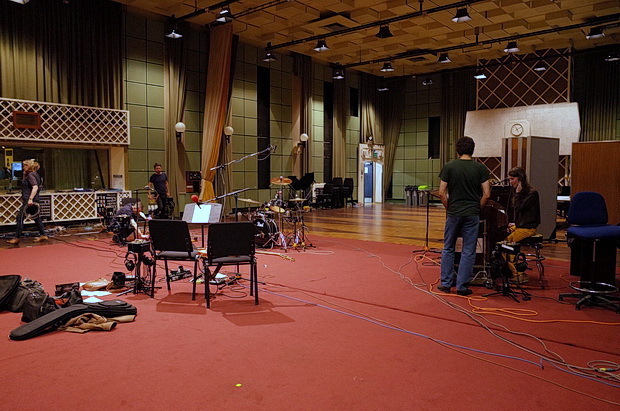 It was the home of the BBC Radio Orchestra, a specialist light music session band, with music director Neil Richardson. 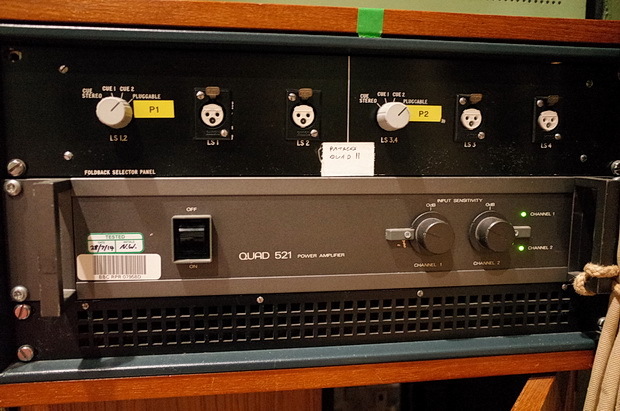 Studio MV4 is a smaller studio with vocal booth and balcony. 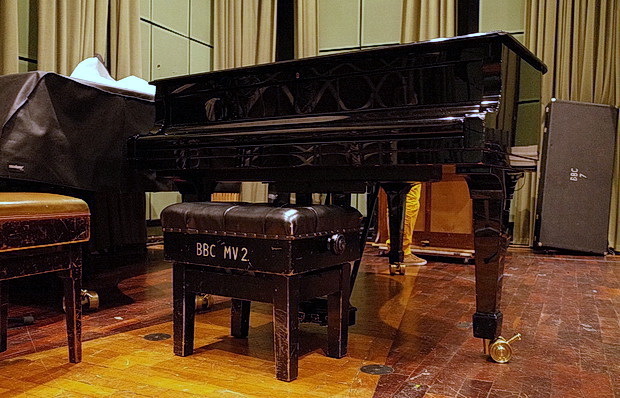 Utilising a SSL 9000J series analogue desk, MV4 was home to the John Peel sessions and has continued to be used to record the BBC Radio 1 sessions for shows that have replaced Peel’s. 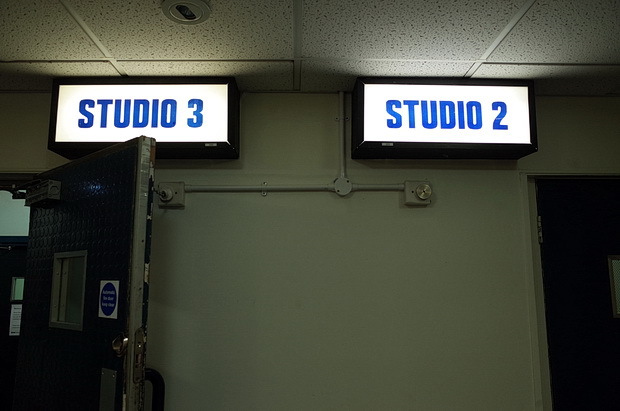 Studio MV5 is now one of two spaces used for the Live Lounge, and plays host to a large number of current pop acts. 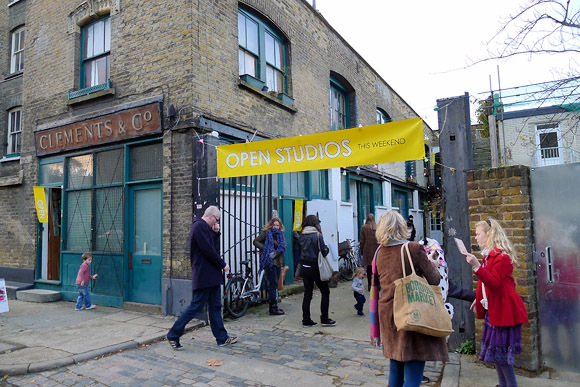 Studio MV7 was a drama studio but is now decommissioned and used for tape storage. 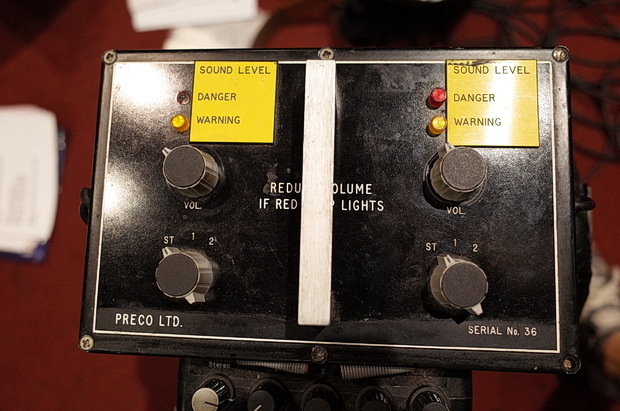 Each artist gets his/her own little headphone mixer, with the old school warning lights sparking into life at very ‘sensible’ levels (as a drummer, I needed a lot of volume when we were recording, so I was accompanied by a disco light display). 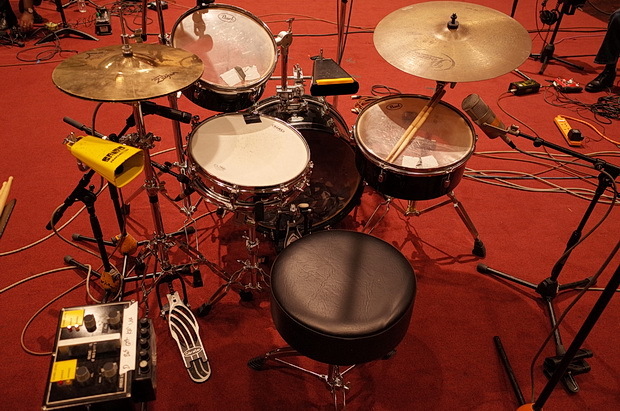 I used my small Pearl Traveller kit for the session with a piccolo snare, a couple of cowbells, Paiste Sound Edge hi-hats and some really cheap cymbals (!). 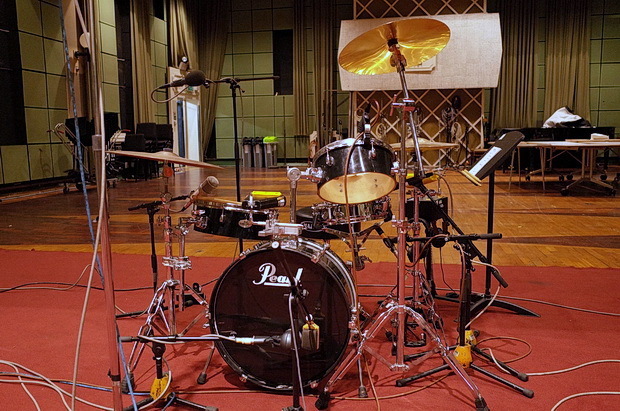 I would have preferred to have used my swankier Gretsch kit, but I needed something very small and figured that the BBC engineers would be able to get a great sound out of the smaller kit (they did!). 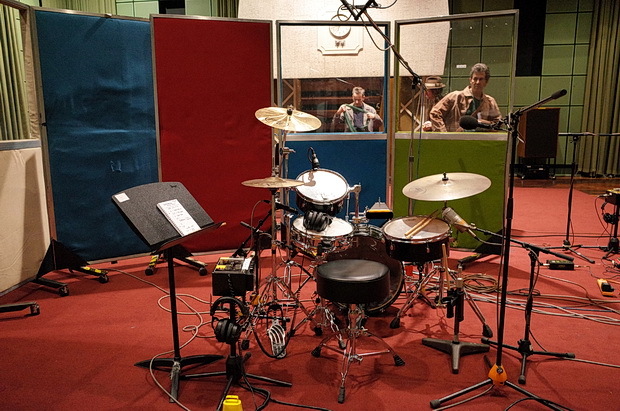 The kit is dwarfed by the enormous MV3 studio. 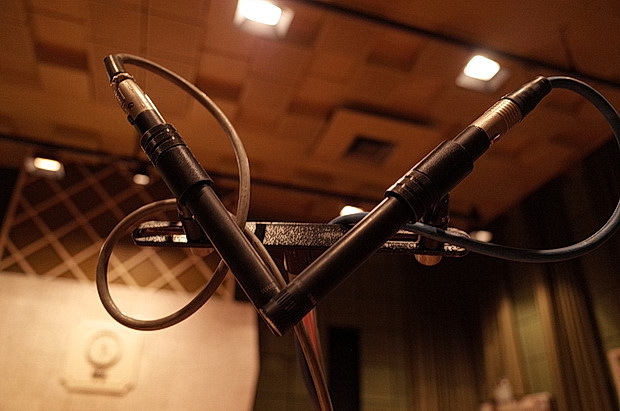 X/Y overhead mics captured a stereo image of the kit. 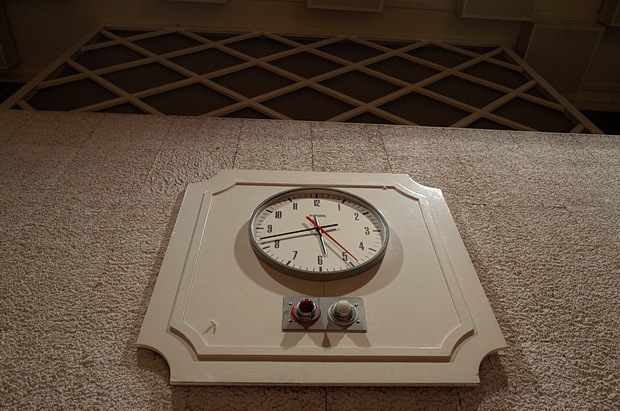 Plaque on the wall reveals that this was the place for Bing’s last stand. 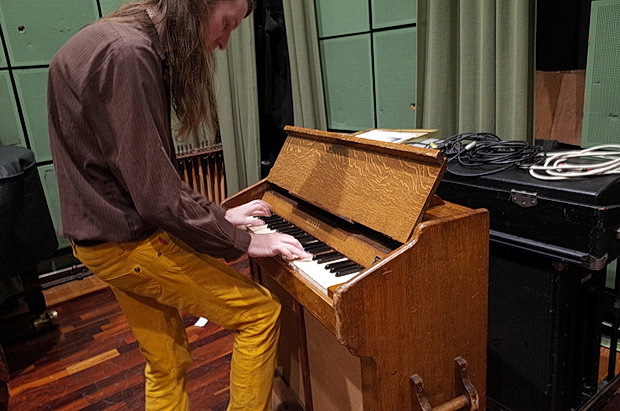 The keyboard player was ecstatic at the wide range of vintage keyboards that were available in the studio! Ready to record. 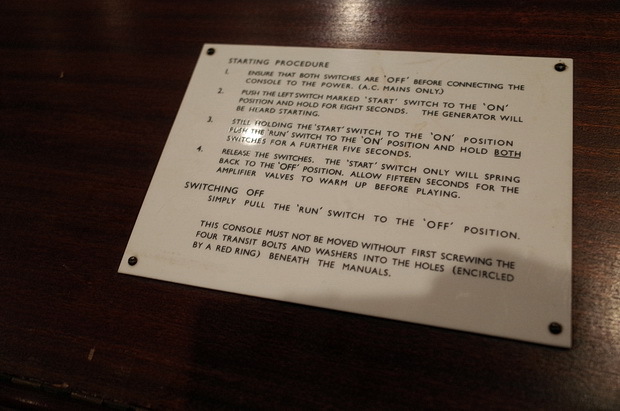 Note the headphone mixer to the left. Tracks come up on 22mins, 48mins and 59 mins. 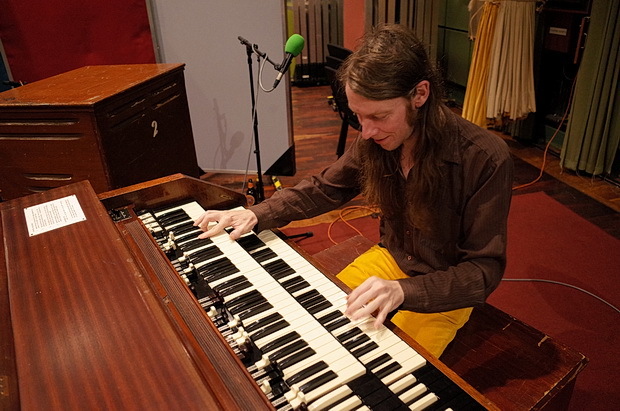 And the fourth track is here (2hrs 53 mins) Gideon Coe – BBC Radio 6 Music. 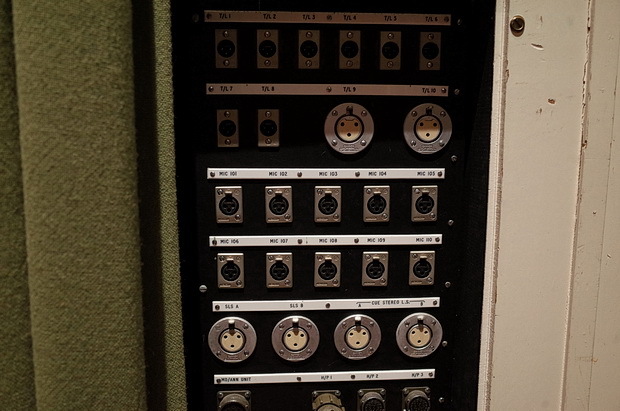 The engineer decided that I was making too much noise, so to ensure decent separation, these ruddy great anti-social panels were wheeled in front of me. Glass panels ensured I was still able to see at least something of my fellow band members. Less is more. Possibly. 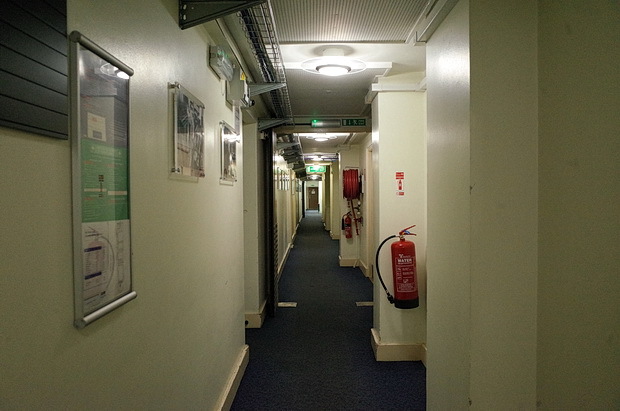 The place has very, very long corridors. 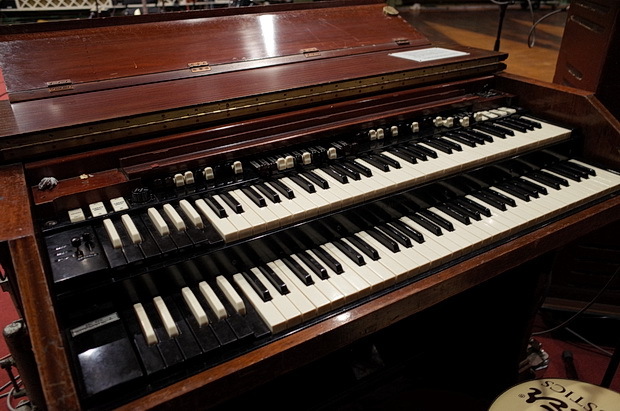 Our keyboard player John was especially thrilled to get his hands on this fine, valve-powered instrument. 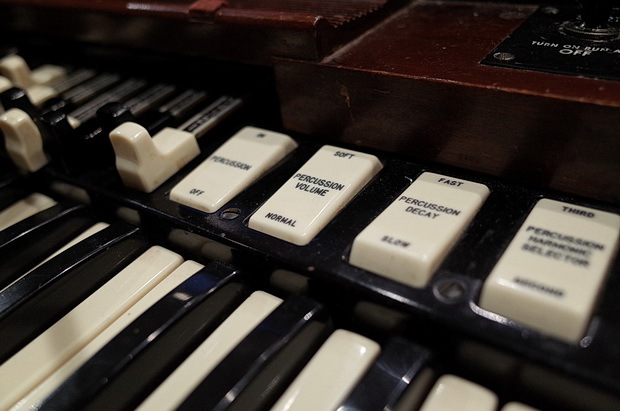 Complex organ start up procedure! 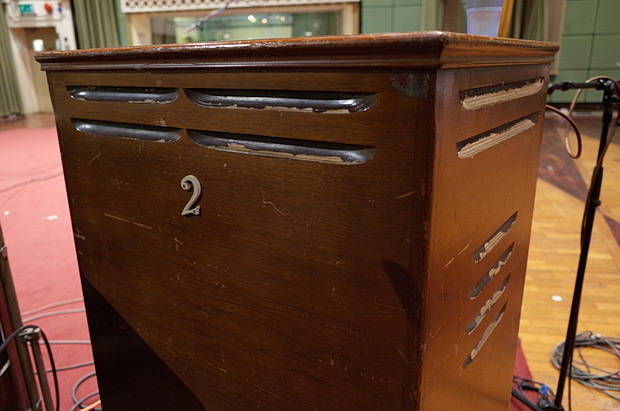 I’d never seen a Leslie speaker in action before. 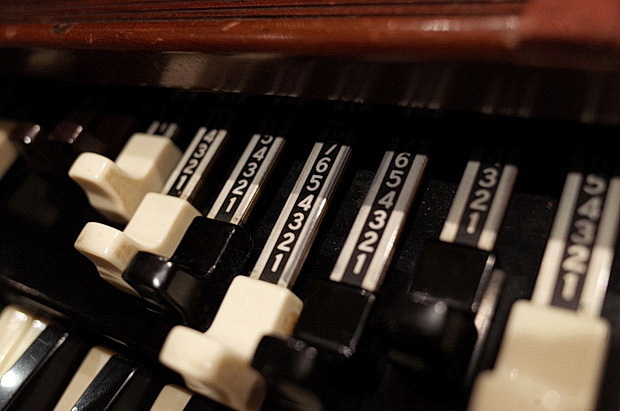 Invented by Donald Leslie in the 1940s, their unique, speaker-spinning sound found favour in the 60s and 70s with artists such as the Beach Boys, The Beatles, Eric Clapton and Pink Floyd. Lucky Mike Great to see inside after all this time. I almost got see Orbital do a live show for 6 music win tickets. The plan was me if I won i take me mate & the same if he won.